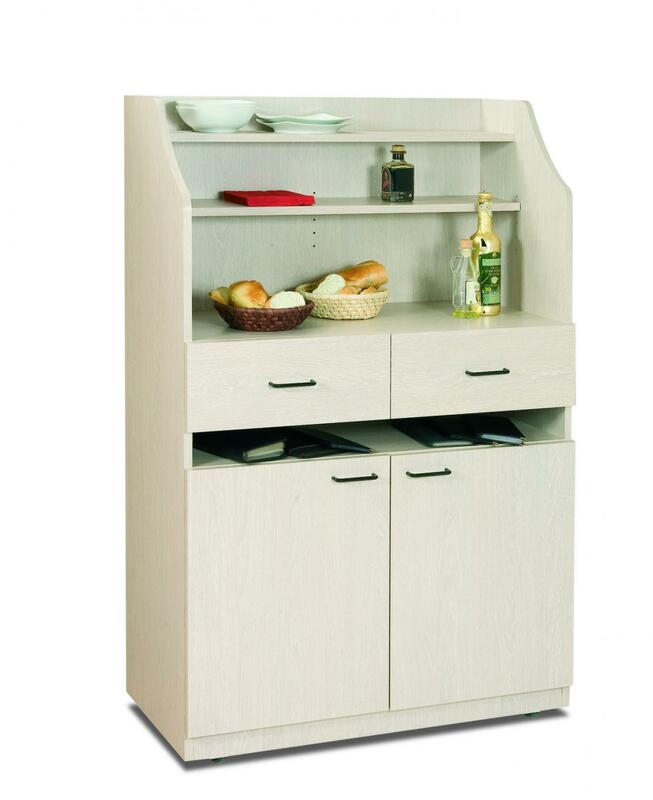 Dumbwaiters on castors made of laminated wood for the reastaurant hall with 2 drawers and 1 or 2 doors. 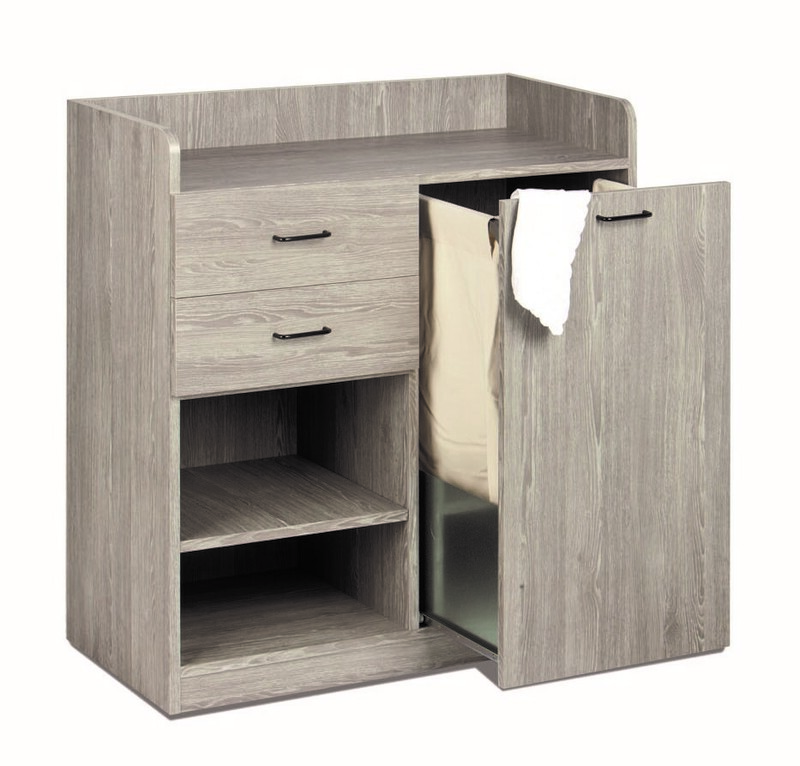 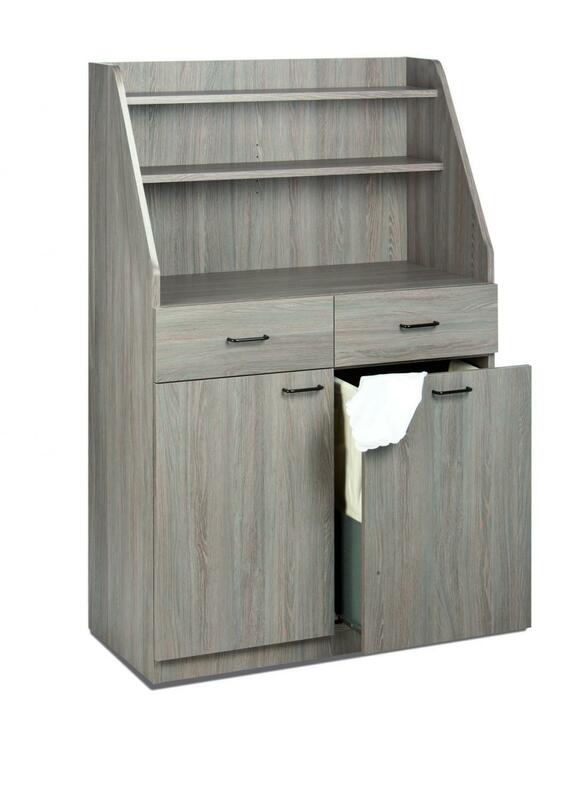 Instead of drawers thay can be equipped with an open 6-compartment cutlery holder. 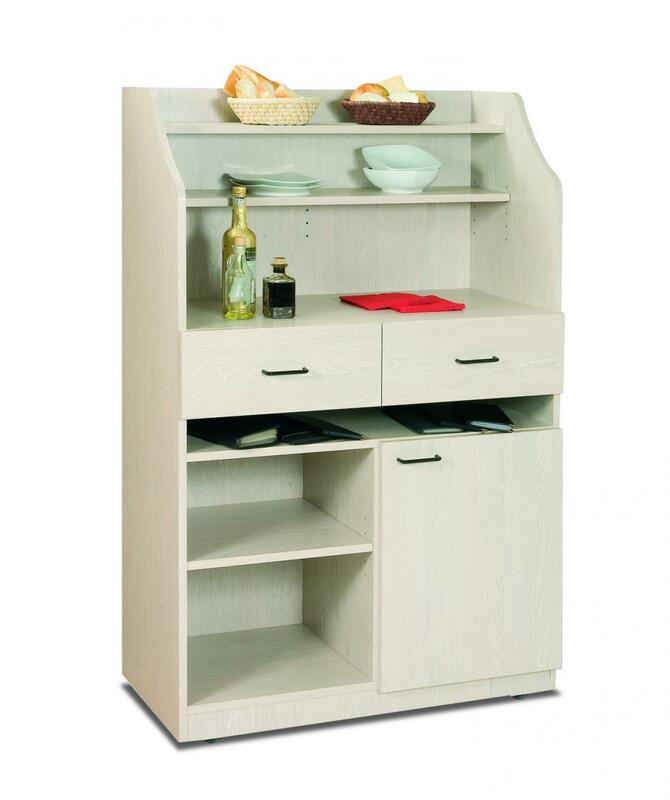 Dumbwaiters on castors made of laminated wood for the restaurant hall with 2 drawers and 1 or 2 doors and equipped with an useful menus holder. 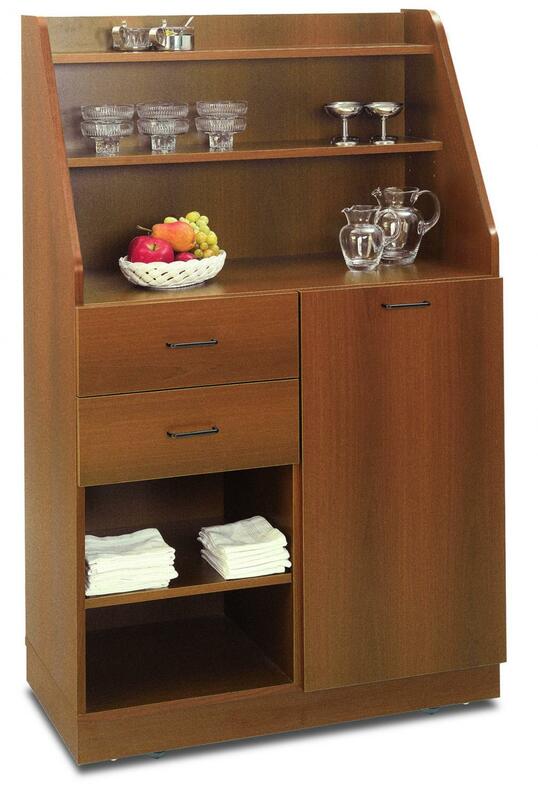 Waiter stations on castors made of laminated wood equipped with drawers, doors or hoppers on rails with removable and washable cotton bag. 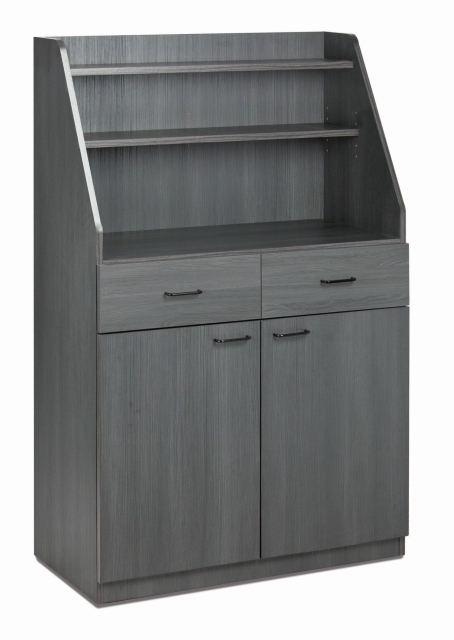 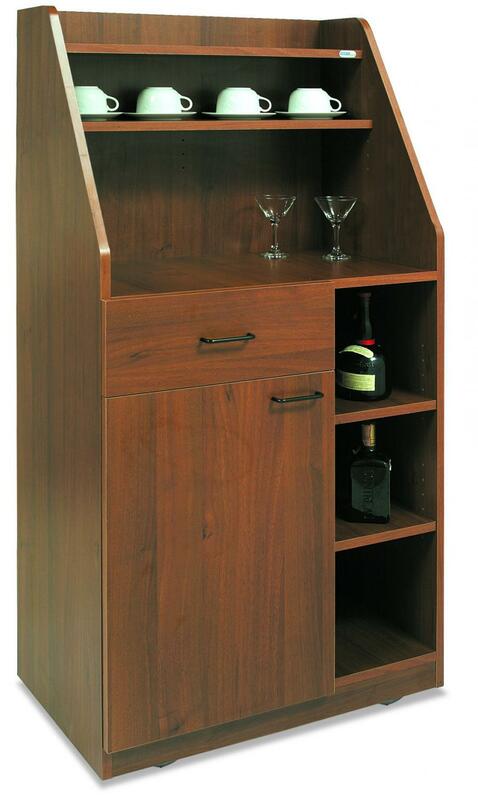 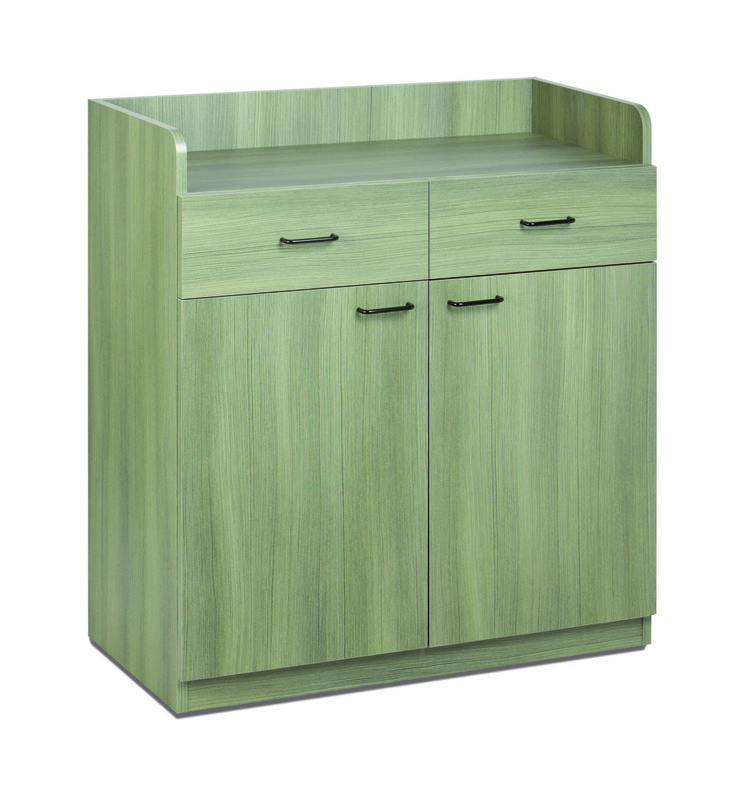 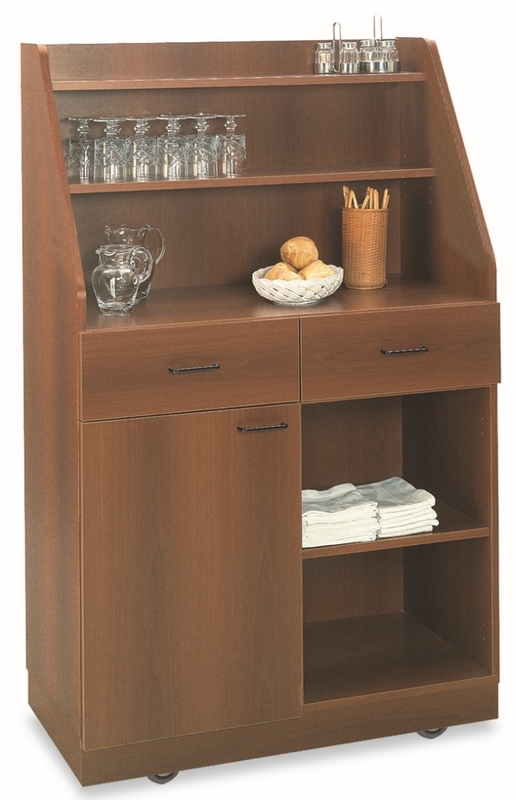 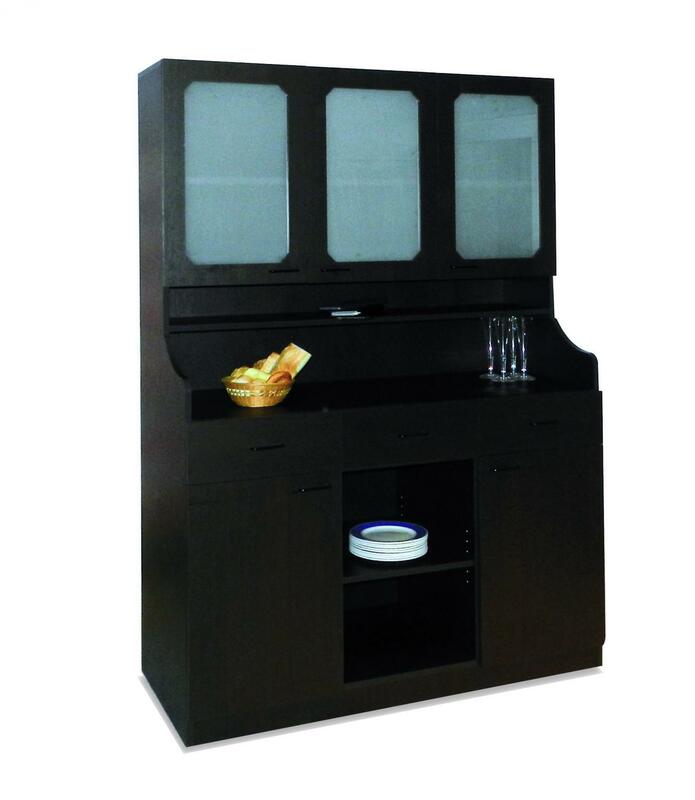 Waiter stations on castors made of laminated wood structure for the restaurant hall with 2 or 3 drawers. 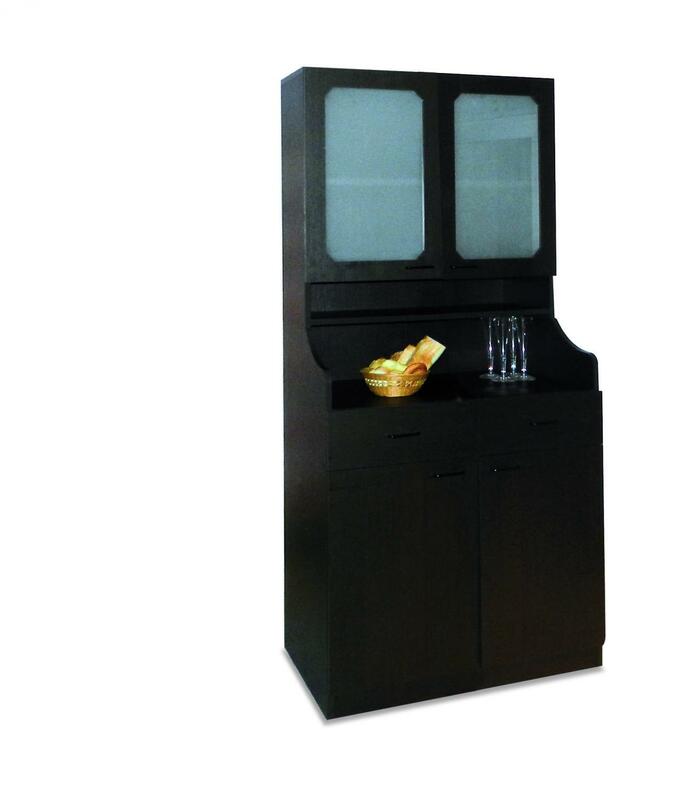 The upper part is closed with frosted glass doors.